Press-Fit technology was developed to enable reliable electrical connections between terminal pins and PCBs without soldering. 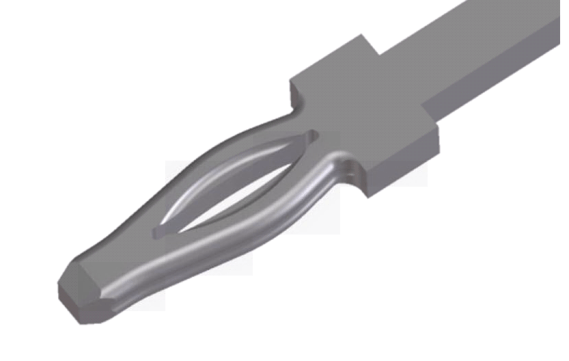 Press-fit connector pins are widely used today in the automotive sector. Press-fit pins which feature an elastic press-fit zone are cold-welded to the PCB when they are pressed in. This achieves a reliable electrical connection which fulfills the high automotive requirements without the drawbacks of soldering. 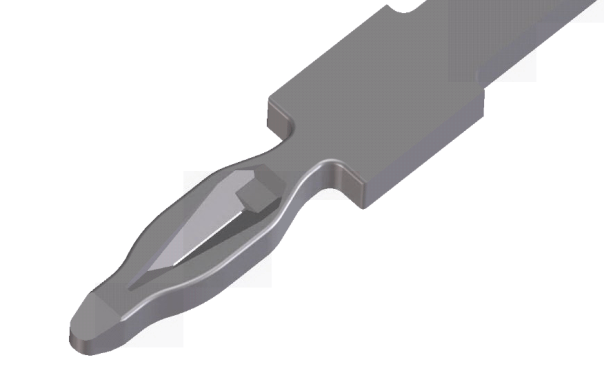 The Dietze Group has a proven track record with manufacturing high precision press-fit connector pins and is your ideal partner for stamped terminal pins (EloPin) as well as wire-based terminal pins (Elbik-X-Press). Dietze Group was the first company worldwide to qualify the EloPin 04-06 press-fit zone, which is used for miniaturized packages. Press-fit connector pin for stamped contacts. Press-fit connector pin for contacts made of wire.